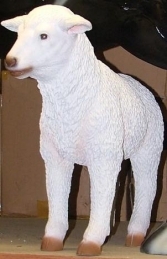 Our Texelaar lamb model is extremely realistic. A flock of these on your lawn will really get you noticed. 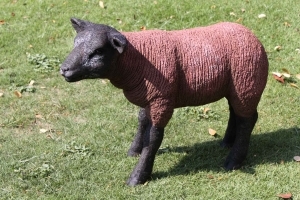 Our fabulous Texelaar lamb is one of a series of extremely life-like resin sheep statues. 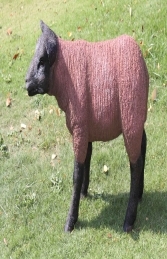 They look great individually or in a flock. This Sheep would be ideal for any farmyard themed areas, adventure golf courses, zoos, theme parks or to promote shops, businesses, pubs, restaurants, coffee shops or even your own garden.